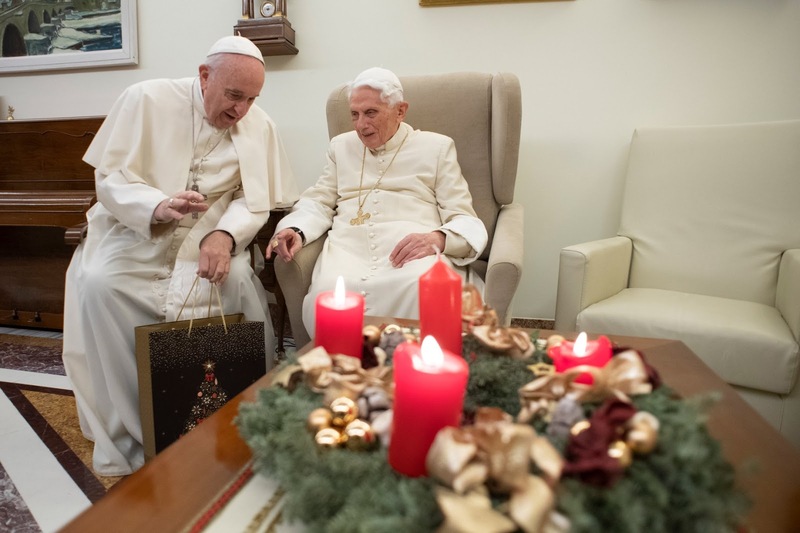 Catholic News World : A Special Knock at the Door of Pope Emeritus' Benedict - #PopeFrancis arrives for a Christmas Greeting! A Special Knock at the Door of Pope Emeritus' Benedict - #PopeFrancis arrives for a Christmas Greeting! A special knock at the door of Pope Emeritus' Benedict XVI's home as Pope Francis made his usual Christmas visit. The visit occurred on Friday evening, for an exchange Christmas greetings. This has become a yearly event since his election, where Pope Francis visits the Mater Ecclesiae Monastery, for a pre-Christmas greeting to Pope Emeritus Benedict XVI. Pope Francis has often visited the Monastery on many occasions in the past year and often prays with the Pope Emeritus.